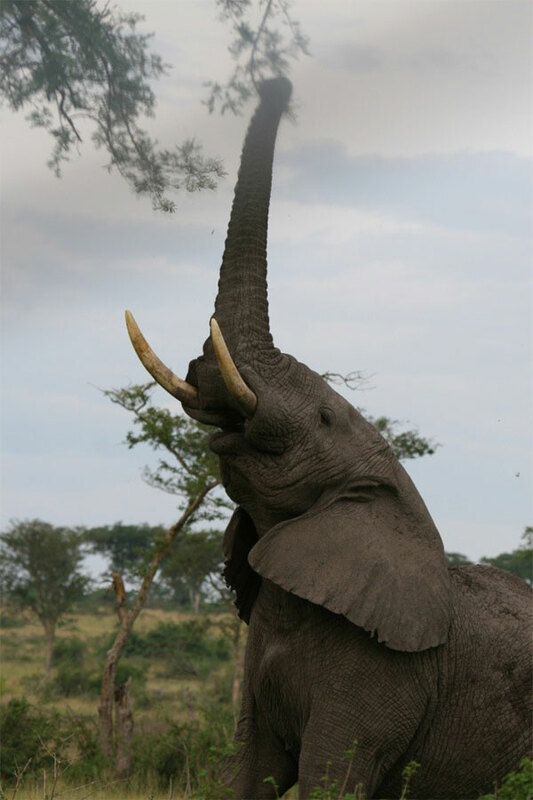 THE INTERNATIONAL ELEPHANT FOUNDATION (IEF) IS NOW ACCEPTING PROPOSALS FOR 2012 ASIAN AND AFRICAN ELEPHANT CONSERVATION AND RESEARCH FUNDING SUPPORT. Funds will be awarded and available January 2012. The deadline is August 12, 2011. 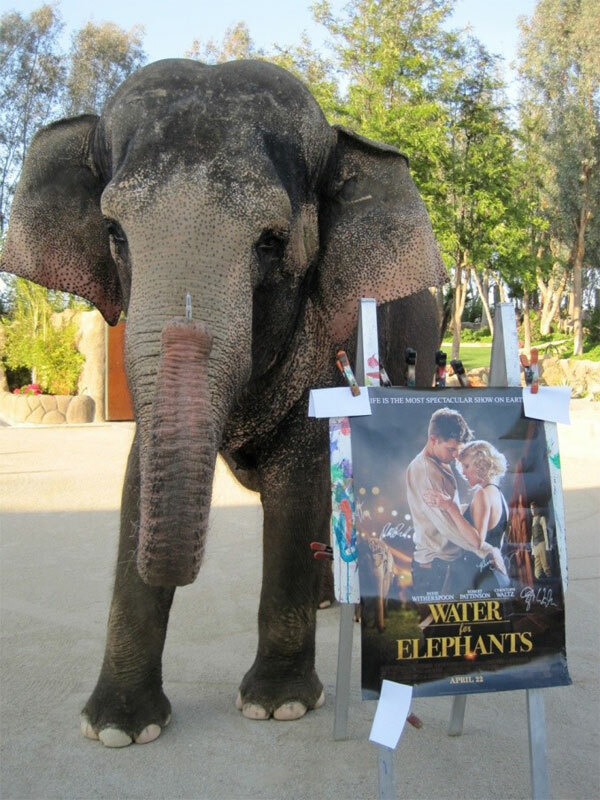 Tai, owned by IEF board members Gary and Kari Johnson of Have Trunk Will Travel is currently starring in the movie Water For Elephants. With her new found fame, she is encouraging donations for Elephant Endotheliotropic Herpes Virus (EEHV) research through the International Elephant Foundation. Elephant Endotheliotropic Herpesvirus (EEHV) is killing baby elephants. This insidious, elephant-specific disease has a mortality rate estimated between 80 and 90% and has been the cause of death of approximately 25% of the Asian elephants born in North America since 1978. It usually strikes when the calves are between 1 and 4 years old. They most often succumb within 24 to 72 hours of showing the first symptoms. As of this date, in North America there are only 8 known survivors. Through research undertaken by the International Elephant Foundation and our partners, we have found that there are various strains of the virus in Asian and African elephants in human care as well as in wild populations. There is no known cure or vaccine. EEHV research efforts have been thwarted by two problems. The first has been the inability to culture the virus in the laboratory, despite significant efforts by numerous experience investigators. The second is a critical shortage in funding. Nevertheless, work continues to answer questions about transmission, latency and epidemiology. Ultimately, the goal is an effective vaccine. Poaching has devastated the region’s elephant population, and this project aims to create better monitoring and enforcement in the area by stationing rangers in key locations to prevent further loss. 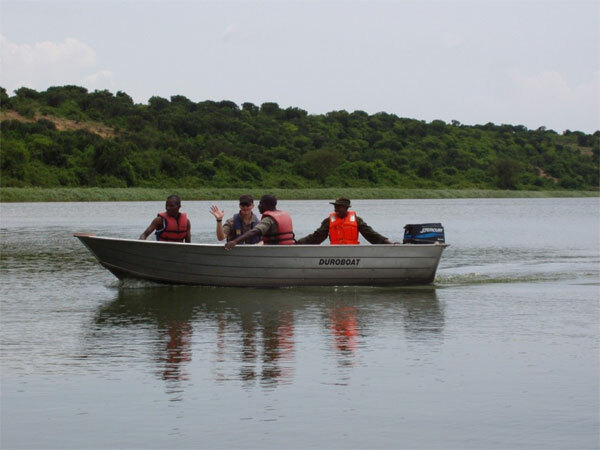 Additionally, the project aims to encourage elephants to use the protected corridor to repopulate the region. Michael Keigwin from our Project Partners, Uganda Conservation Foundation (UCF) reported this week that Elephant poaching has risen to levels not experienced for over 30 years! Over the past three months elephant poaching has increased rapidly; in fact over the past three weeks over 10 elephant have been killed in Queen Elizabeth National Park alone. UCF is making every effort to support Uganda Wildlife Authority´s actions to carry out anti-poaching efforts, but greater resources are needed to combat this growing problem, and fast. We also received another piece of tragic news from Queen Elizabeth National Park in Uganda this week: Mary the elephant has been found dead, and she was believed to be poisoned. This famous elephant was raised by Marcel Onen (who worked for Michael Keigwin for seven years). Michael writes "After years of Mary entertaining us all in Mweya and elsewhere in QE it is very sad, but somewhat inevitable, that this would happen. Everyone is very upset." Recently, Mary has been a media darling, appearing in the local newspaper stopping traffic and of course causing losses to some traders. Just last week UCF’s Patrick Agaba met her at Katunguru where she was rubbing her shoulders against a tree. She was photographed by 1000s of tourists over the years, wandering around Mweya, and was well loved by all the rangers. Despite our best efforts, ivory poaching and retaliatory killings of elephants are on the increase in Uganda. Mary was an orphan, brought up by humans; she was not a crop raiding elephant but it just shows the low tolerance many have of wild animals. UCF created a Facebook photo album in Mary’s honour and invites everyone to upload photos, post comments and share this link with friends. The Rotterdam Zoo in association with the International Elephant Foundation (IEF) would like to invite you to participate in the 2011 Elephant and Rhino Research and Conservation Symposium scheduled for October 10-14, 2011 in Rotterdam, The Netherlands. This year IEF welcomes to the elephant symposium our colleagues working with all species of rhinos, both in human care and in the wild. 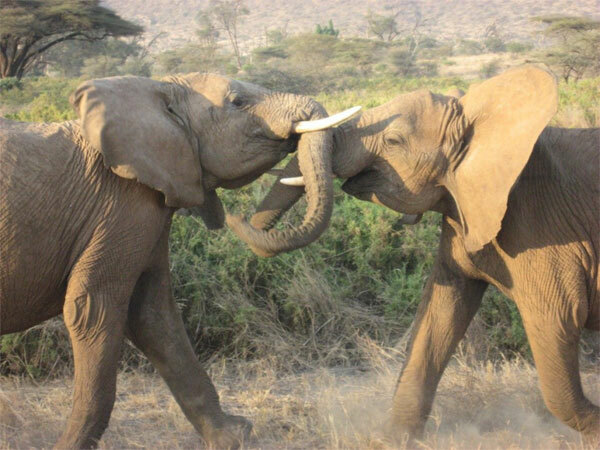 Elephants and rhinos face similar problems in the wild (habitat loss and poaching), and many animal managers, field conservationists, veterinarians and researchers work with both rhino and elephant. Registration fees will be 250 Euros which will include congress fee, ice-breaker, lunches, beverages offered during the congress, dinner at the Zoo (Wednesday night). Submissions for oral presentations and posters on all aspects of elephant conservation and research are now being accepted.